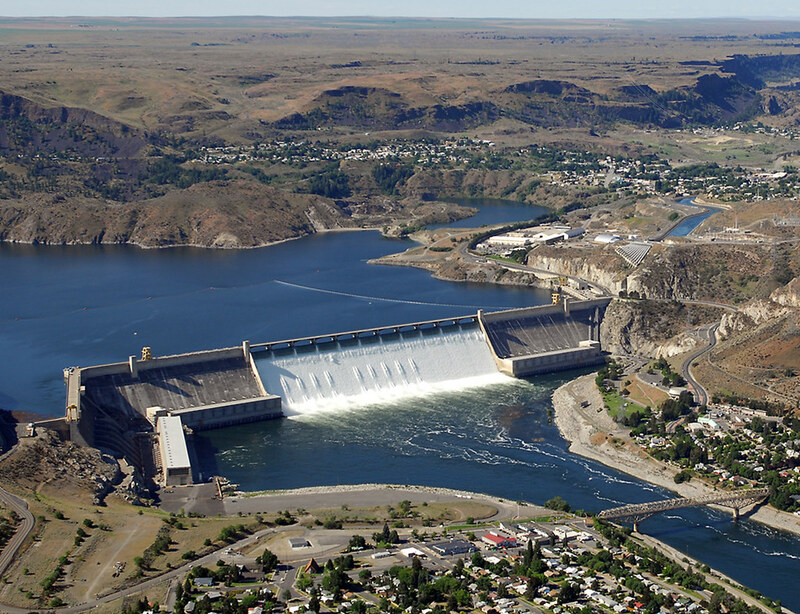 Grand Coulee Dam is one of the most famous gravity dams in Washington. 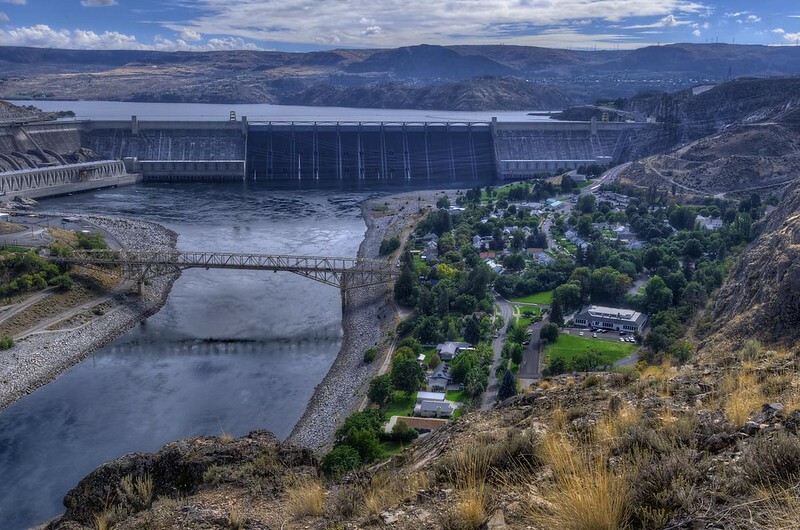 It is a high concrete dam situated on the Columbia River and is considered as one of the largest dams in the world. This dam is very popular for those who love outdoor recreations, especially sight seeing. Constructed in June 1, 1942, the dam was originally,planned and built as a low profile dam, however in order to employ more people and produce more electricity plans, it was later changed to a high dam. Upon completion, the Grand Coulee Dam have surpassed and overtaken the Hoover dam as the largest dam in USA. When the dam was first built, over 21,000 acres of water were flooded into the dry land. It is measured 5,223 feet long and 550 feet in height is the sole source of green hydro electricity for the surrounding area. The reservoir of Grand Coulee Dam is called Franklin Delano Roosevelt Lake, which stretches for 151 miles behind the dam. This lake is well known and appreciated by a great number of boaters, kayakers, water skiers, jet skiers and other water recreation enthusiasts. 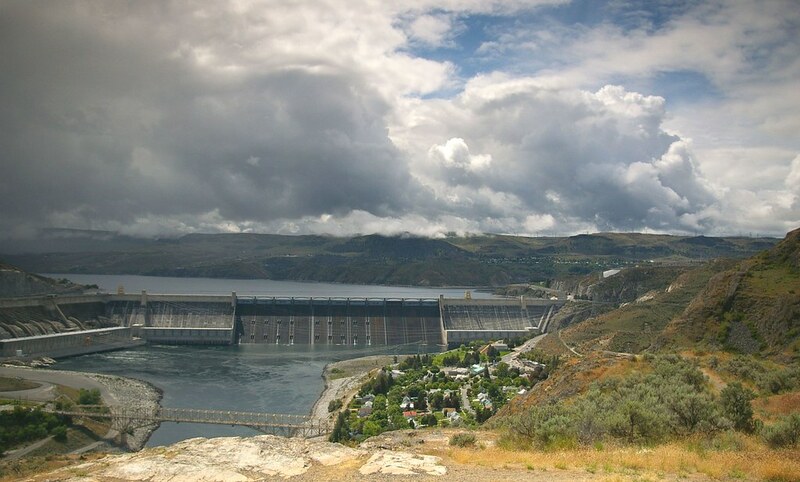 There are so many pleasant things to do in the Grand Coulee Dam tour. Inside, you will find an operation visitor’s center where you can ask for more details about its history and other activities. Nightly laser light show is a very popular attraction of the dam. The show is popular among children and adults alike and is considered as one of the must-see event from locals. There are a a number of other great views around the area that should not be miss. Touring the facility is also incredibly interesting, so make sure you ask for more information. So there you go people and if you ever step foot on the Grand Coulee Dam, don’t just drive away thinking there is nothing worth seeing. Experience a part of the history and really feel the atmosphere inside one of the biggest dams in the world.